Tucked beside the tracks of Waterloo is one of the capital’s most interesting little places. Lower Marsh may not have the glitz and glamour of The Cut next door, but it’s full of unassuming gems worth checking out. Lower Marsh is a street that’s happy in its own skin. Its eclectic community is driven by independence and collaboration – an attitude reflected in many of the local ventures, like Travelling Through. The bookshop has real heart and soul and aims to connect people through its culture hub and art space. There’s also Greensmiths, which operates a joint venture of foodie specialists, including the Ginger Pig butchers. The nearby Make Space Studios is a collective of over 60 artists, designers and creative businesses whose spirit of enterprise and creativity spills out into Lower Marsh. Watch for their open studio days – you’ll be inspired. Lower Marsh Market personifies the spontaneity and energy of the area. Office workers raid the street-food stalls at lunchtime, wolfing down Newdlez & Co’s pad thais or Veg As You Go falafel wraps, but the market also sells flowers, artisan bread, fresh produce, crafts and other goods during the day and at the weekend flea market. You’re never far from an indie coffee shop on Lower Marsh. Four Corners is riding high on their award for the best coffee shop in the UK in 2015, while Love & Scandal was recently voted London’s most-loved café in the Love London Awards. It attracts a motley crowd in its superhero-styled, unfinished-ply interior. Café del Marsh is an unpretentious and friendly café bar with a heated and covered rear terrace that serves food as well as craft beer. Outward appearances are often deceptive in Lower Marsh. Viewed from the street, the sunken dining room of the Cubana appears a dusky cavern, but viewed from the inside it becomes a bright cantina with a panoramic window on the world (a perfect space for enjoying a Cuban sandwich). The same principle is at play with The Scooter Caffè – you must step through the dowdy exterior to find the seductive atmosphere of the jazzy bar inside. 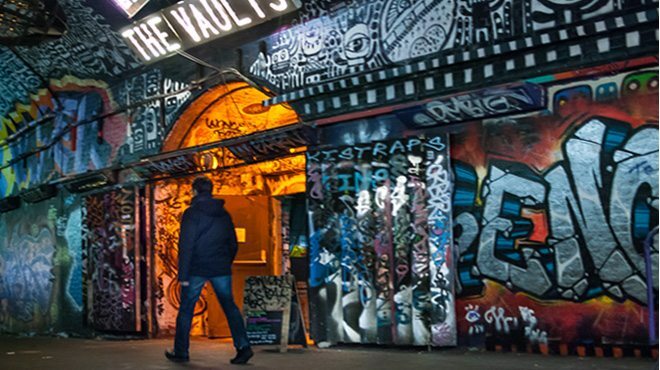 The Vaults has been hosting a number of daring and exciting pop-up events for some time now, from Secret Cinema’s immersive extravaganzas to the interactive walk-through theatre show ‘Alice’s Adventures Underground’. Check out the Vault Festival during February and March for more labyrinthine experiences. Lower Marsh is full of surprises. Luca Othman is a top Soho hairdresser – his secret is W1 cuts at SE1 prices. And the Book Warehouse has a basement stacked with classical and jazz CDs. The owner will invite you to relax, browse and enjoy free use of the loo. Elsewhere, I Knit Waterloo is a wool shop with a drinks licence, so it’s perfect for a knit and a chat over a convivial bevvy. Read “Why You Must Walk Down Berwick Street” here. 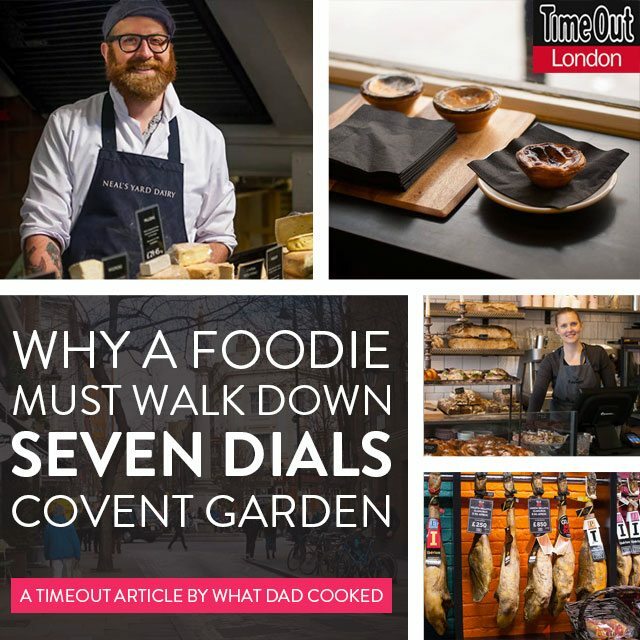 If you’d like to read the article in TimeOut click here.